Data begins 01/03/2014 and is refreshed daily at 4:00am.  Connect with the City of Austin. Find out the latest information about Austin initiatives, opportunities and fun things to do in the Live Music Capital of the World. Like or follow City social media to get updates from the City directly in your timeline. Landing page for the development of Mobility Plans for Slaughter Lane, William Cannon Drive, and Brodie Lane.